Remember the great wooden toys you had when you were a kid? Indulge nostalgia with great wooden cars, pull-along toys, and pretend food sets at Yogee Toys! Get all the classics for your little one like the Happy Stacker, Sorting Basket, and Activity Train from Pintoys. Your child can learn with durable letters, numbers, cash registers, calendars and more! Kids can create keepsakes with craft projects and art sets by Melissa & Doug. Kids can start a band or learn about nutrition with toys from Plan Toys and Sevi. Get ready for some old-fashioned fun at Yogee Toys! 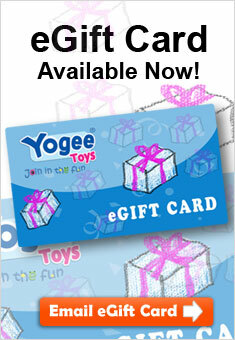 Yogee Toys is an Authorised LEGO e-Commerce retailer of LEGO products. LEGO and the LEGO logo are trade marks of the LEGO Group. ©2017 The LEGO Group.